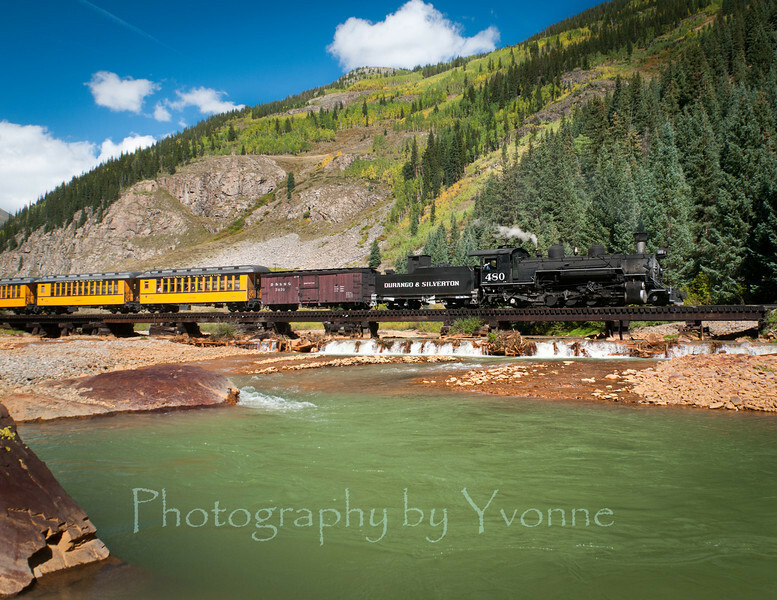 Here are the 14 photos in my 2013 D&SNGRR Calendar. It is a 13-month calendar starting with December 2012, plus an additional photo on the cover. The calendar is 11 x 17 (opened) and is printed on glossy paper and proudly printed in the USA. It retails for $12 (plus shipping). Quantity discounts are available for orders of 16 or more. For information on ordering, please click the 'Contact' button below or email me at DurangoExposures@gmail.com Thanks! Cover photo. Southbound train crossing Animas just south of Silverton on the 'timber bridge'.